COURTESY OF ENERGICA MOTORCYCLE COMPANY INC. 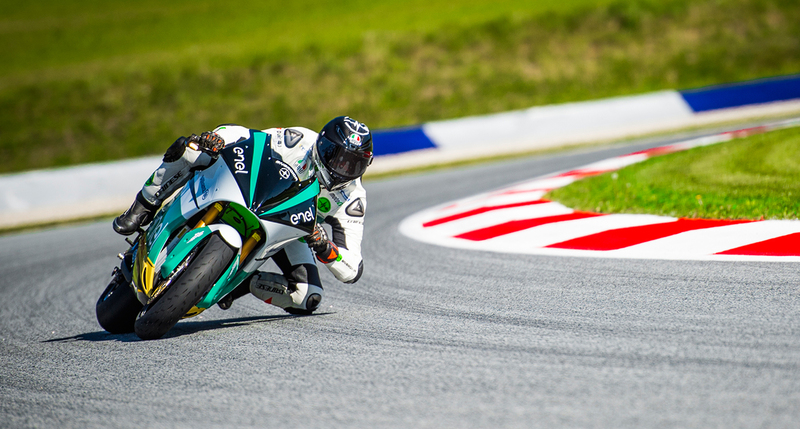 The new era of electric motorcycle racing has begun, and Energica Motor Company is proud to be fully involved in in this new, exciting chapter of two-wheeled motorsport history. 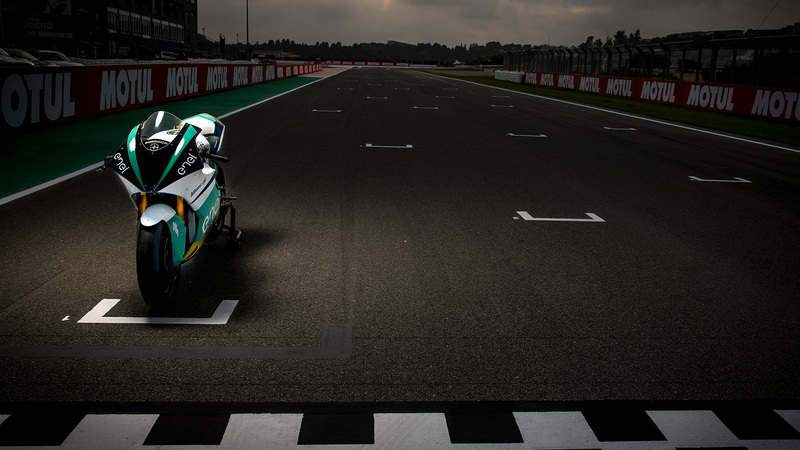 The Modena-based Italian company of high-performing electric motorcycles was chosen by Dorna as single manufacturer for FIM Enel MotoE™ World Cup, which will officially get underway on May 5th 2019 at Jerez. The green heart of Ego Corsa racebike is a synchronous oil-cooled motor with permanent magnets. It allows a maximum continuous power of 120 kW and a torque of 200 Nm. Ego Corsa accelerates from 0 to 60 mph in less than 2.8s to reach a top speed up to 270km/h (168 mph). Ego Corsa does not have a gearbox or a clutch. Everything is regulated by the ride-by-wire system, allowing you to control the acceleration torque of the motor and deceleration based on the regenerative torque or engine braking.